19 May 2018 If there’s one skill that every aspiring entrepreneur needs, it’s the ability to persuade. To many people, the idea of pitching is intimidating. But for anyone to succeed in business or to clinch that huge deal or investment, having a great pitch is not an option. A great pitch is concise, convincing and delivered in a self-assured manner. For this reason, making a great pitch is not a walk in the park but a very rewarding experience when done correctly. 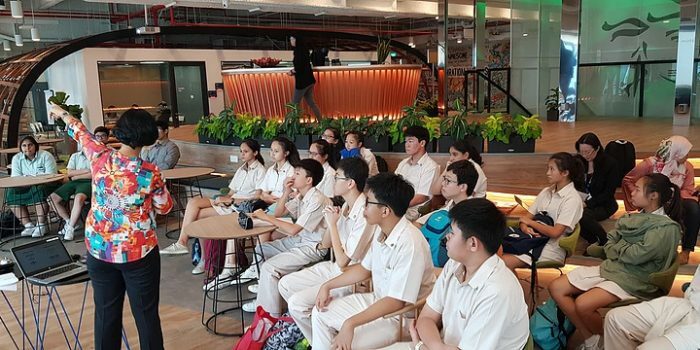 On May 19th, the finalists of Prudential Young Trailblazers competition gathered to attend an exclusive Business Pitching Workshop conducted by the eponymous Fred Then, the beloved panellist during the Competition’s opening in January. Fred boasts an impressive record of mentoring teams for success in business competitions. Using Star Wars and Lego as the recurrent analogy to present his points, Fred won the audience over, and then proceeded to teach them how to do the same, emphasising the reasons why the best products are not always the ones with the best sales. Throughout the Pitching Workshop, Fred covered the fundamentals of giving a good pitch. Among them, he pointedly told the teams that when giving any kind of pitch, it is very important that they know their audience – they need to give a pitch that will get their audience, or in this case, the judges, excited—and to do that, they need to understand what makes them tick. They need to speak their language and give them the information they need to hear. 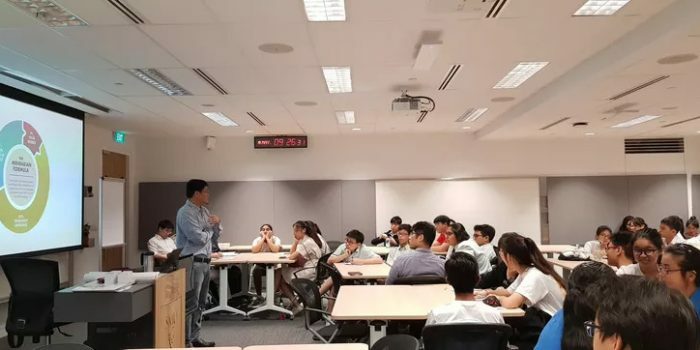 The participants also gained insights such as using data points and stories that will increase the judges’ trust in them and make their idea sound promising. The most important lesson for our Young Trailblazers finalists was that fact that they learned people rarely make buying decisions based solely on the facts. Emotions play a huge part. This revelation by Fred opened the eyes and minds of the finalists on the importance of understanding the customers real pain and the accompanying emotions; and amplifying these emotions to demonstrate the significance of their business solution and innovations during their pitch to the judges. In all, the finalists of the Prudential Young Trailblazers competition understood that a good pitch is important to deliver a good business case. It is not enough to just tell the judges about their business solutions and proposals on 7th July – if the team wants to win the inaugural Prudential Young Trailblazers competition, they will also need to tell a compelling story to engage the hearts and minds of the judges. 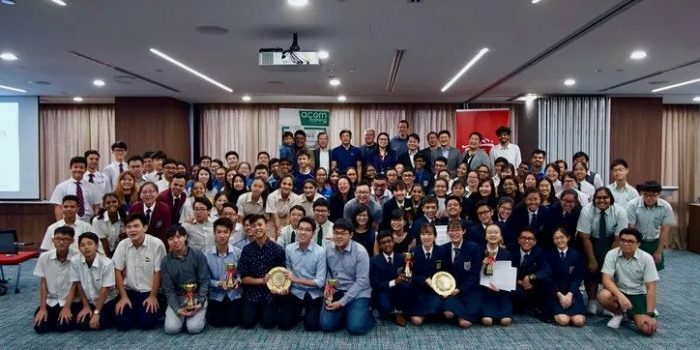 About Prudential Young Trailblazers: Prudential Young Trailblazers is an innovation and entrepreneurship competition co-organised by Acorn Training and Schmeet Pte Ltd in collaboration with Prudential Singapore. Acorn Training Pte Ltd is a leading training consultancy specializing in design thinking and experiential learning workshops, while Schmeet Pte Ltd is an educational technology solutions provider that customizes curriculums and programmes in line with the latest educational trends, pedagogy and andragogy. Prudential Singapore is one of the top life insurance companies serving the financial security needs of Singaporeans for over 85 years. Visit www.youngtrailblazers.net for the latest updates on the competition. previous post: Arise: A Generation of Trailblazers! next post: 2018 Results are Out!